We have come to the end of this series on the Puritans. 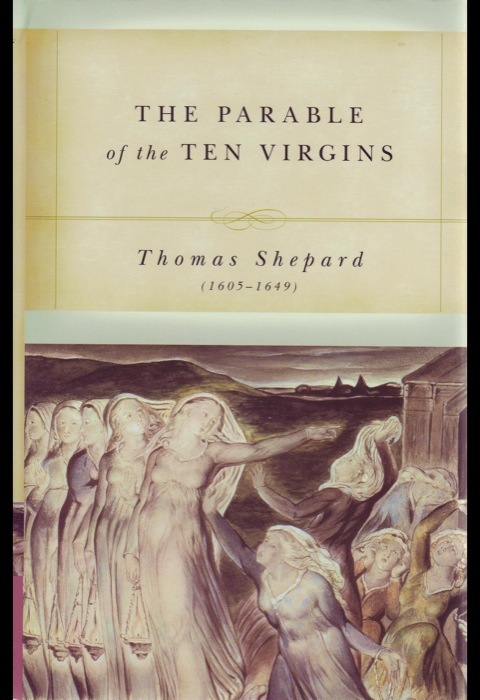 Having spent the last month describing the preaching of the Puritans and then working with Thomas Shepard and Thomas Brooks, it is my hope that you will invest some time and energy in reading the rich material that these men have given. 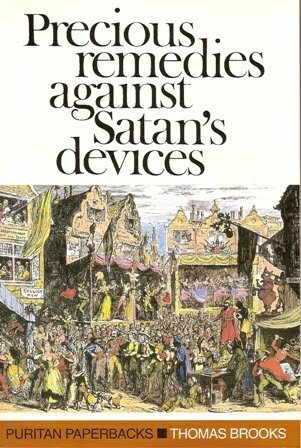 There is no possible way to give the rest of the devices of the devil from Brooks’ Precious Remedies from Satan’s Devices, so I will pull one more of them and summarize it as we did in the last post. As you can see Brooks had great proficiency with Scripture and had an ability to make it be very applicable to the daily walk of the believer. I am pulling from the list of twenty-five devices of Satan is the fifth one under the heading of “devices to pull the soul into sin.” This device speaks so clearly to our day. In a day when sin is prevalent under the big tent of Christianity, Brooks has pegged it quite well with this device. 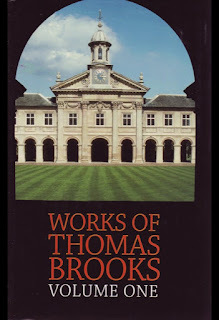 I am continuing with a couple of more posts about Thomas Brooks before moving on to some other matters in April. 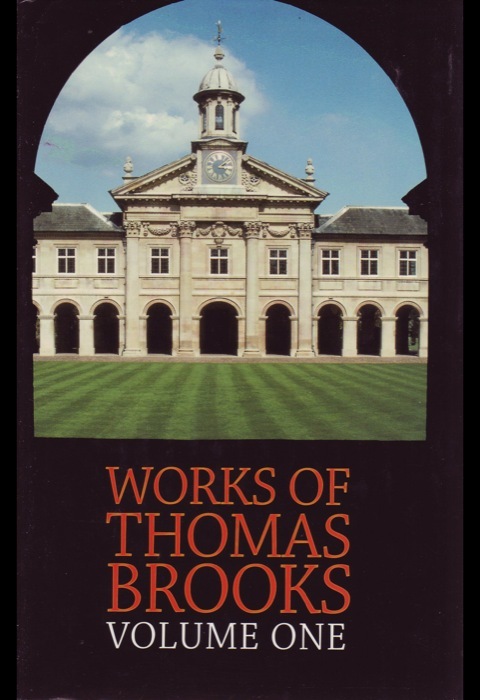 As we have been discovering with the material of Thomas Brooks (Part 1, Part 2, Part 3, Part 4), he was solidly biblical with his approach to his work with Precious Remedies Against Satan’s Devices. He uses 2 Corinthians 2:11 as a springboard to present all of his material from. We are not, as Christians, to be ignorant of the devices of the devil. He presents as a doctrine that Satan has devices, machinations, or strategies to gain an advantage of the soul of man. Brooks compares him to a greedy merchant that seeks to take every opportunity to beguile, deceive and entrap others. 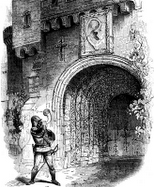 He is a wily merchant who does not key in on widow’s houses but rather on men’s souls. He determines to prove this point from Scripture. Then he wants to make sure that people are aware of the various devices that he will use. However, Brooks points out that for every device the devil may have that there is an adequate and powerful remedy to overcome the assault. Brooks also desires to show how those devices are developed in the spiritual war and explain some points of information about the devices. 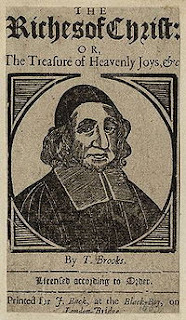 As we have noted in the past in describing the Puritans, Alexander Whyte, one of the old Scottish preachers, noted them to be “specialists at sin.” They had the ability to look at human nature and character and draw out the nuances of behavior and use them effectively in their preaching. One aspect of their pastoral ministry was directly related to taking the Bible and using it in such a way that it shed great light on the walk of every Christian moving toward the ultimate end of Heaven being his final resting place. To do this kind of effective preaching warranted a time away from the public and locked into places of thoughtful study of the Word and prayerful looking to that Word. The Puritans saw the devil as very real and very active in trying to trip up believers at every turn in life. He may depart for a season but he would be back with his imps to harass and buffet the best way that he could with all sorts of mayhem. So when Thomas Brooks wrote his most famous work, Precious Remedies against Satan’s Devices, he had looked at a number of biblical characters and presented their mistakes, not with condescension, but with a measure of warning to all who read about them in the Bible. Since I am devoting the month of March to the Puritans, I only have a few more days left to go with this endeavor. We are currently introducing Thomas Brooks (Part 1 & Part 2) who preached a farewell sermon to his church because of his failing health. In a very similar format to Jonathon Edward’s resolutions, Brooks had some admonitions to the church that came in the form of “legacies.” There were a total of twenty-seven, of which fourteen were listed in the last post. I now give you the remainder of them. Legacy 15: Look upon all the things of this world as you will look upon them when you come to die. At what a poor rate do men look on the things of this world when they come to die! What a low value do men set upon the pomp and glory of it, when there is but a step between them and eternity! Men may now put a mask upon them, but then they will appear in their own colors. Men would not venture the loss of such great things for them did they but look on them now, as they will do at the last day of their life. Thomas Brooks was a truly unique character in his efforts at pastoral ministry. This is one thing that you really notice about the Puritans is the dedication that they had to pastoral ministry. They weren’t just concerned with numbers of people who attended their churches but they were very much intent on making sure that they understand and applied the Bible in their daily lives. They seemingly were not just interested in people coming in for a weekly session at church but deeply desired for their prayers to have vitality and their daily devotion to God to be rich and experiential. Some have attempted to place the Puritans into a dry, rigid formalism but that would be quite exaggerated to do so. If you have ever ventured across the Resolutions of Jonathon Edwards, you are well aware of the goals that he set about to conduct his life in a godly manner. However, Thomas Brooks wrote something similar to them long before Edwards wrote his. Thomas Brooks wrote something called “legacies” to his local church in what was identified as his farewell sermon because of his fading health. His whole focus of leaving the congregation with the thoughts was that their soul was the most important thing they could preserve. 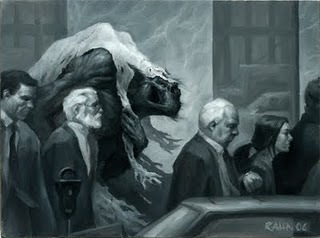 He also asserted that the longer a man lives the more treacherous the spiritual battles become. I am certain that if you have been converted for any length of time that you find that the prayer and devotion that served you in your earliest times would never suffice for the present. That is why the Apostle Paul noted that there was a pursuit that went into this work of the Gospel (Philippians 3:13-14). I am continuing this series for the rest of the month of March. 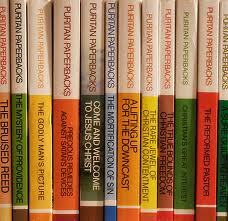 I have chosen to attempt to introduce you to a few of the Puritans that I have found stimulating to me over the last few years. Oddly enough very few Pentecostal preachers have discovered the rich depth of the Puritans. It is immediately clear when you begin to read their sermons and commentaries that these men were much given to the preaching of Scripture. Having covered Thomas Shepard (Part 1, 2) and a series on the preaching of the Puritans (Part 1, 2, 3, 4), we now turn toward Thomas Brooks. Brooks was another accidental find for me. In the fall of 2006, I received a flyer in the mail advertising a book by Joel Beeke and Randall Pederson entitled Meet the Puritans. The book had close to nine-hundred pages and was being offered for $20. Since I like cheap books, I sent the card back in and received it. For the last part of this series (Part 1, Part 2, Part 3), I would like to consider how the Puritans preached regularly away from their pulpits. Sometime ago, I read portions of Richard Baxter’s treatise on pastoral ministry. One of the very convicting things that stood out to me in this volume was how the Puritans frequently traveled to the homes of the families they pastored and gave personal Bible studies and even full-blown sermons followed with a time of prayer. Because of this they left a lasting mark on the home life of their parishioners. Richard Baxter had a system of visitation where he and his two assistants dealt with eight-hundred families each year. They developed a rotating system of moving through the members of their congregation working both the mornings and evenings. They had to make arrangements for the farmers who at certain times of the year were unable to meet as frequently as they would have liked because of the responsibilities brought on by farm life. Looking at the preaching of the Puritans from the angle of personal purity is something that can motivate all preachers in our generation. They placed a great priority on preaching which most scholars called the primacy of preaching and they believed that much power came from preaching. But directly related to the priority and power of their preaching was the purity of their lives. I find this particularly appealing to me when I consider the aspects of preaching. Public anointing greatly depends on private devotion. Over the years in reviewing a vast amount of notes that I have written—sermons, Bible studies, and blogs—I have come to realize that there are two subjects that I have gravitated toward there are even two full shelves of books that are devoted to these subjects. The first is that of spiritual warfare, not the fruity sort of stuff that Third-Wavers are known for, but the elements of the armor that Paul listed in Ephesians 6:10-18. The second is that of holiness dealing with personal, corporate, and ministerial areas. That may reveal some quirk that I have in my own soul but I have greatly enjoyed studying these subjects. May you also develop a thirst for those areas too! The Puritans were serious about preaching! Because they believed in the primacy, or chief focus of their ministries, of preaching, it was powerful. They were much at odds with the preachers of the Church of England who were hand-picked by political means. Most of their preaching came from sermon books and was generally very dull in the presentation. On the other hand, the preaching of the Puritans was somewhat extemporaneous and when they preached it was literally like their souls were on fire. The sermons were enthusiastic and full of zeal because of their marked passion they had for God and for the holiness of God. The Puritans were very hard on themselves when it came to their preaching. They wanted every message to make a difference and refused to fall to a mediocre presentation of the Scriptures. They were highly disciplined in their daily and personal interaction with Scripture. In spending this month with the Puritans, I think an exploration of their preaching both the love for and the discipline they had for preaching warrants our attention. Many of these Puritans actually developed their ministries of preaching through a very interesting means. Most of these men were not the primary pastor of the churches where they originated from in England in the 1600’s. During that period of time, the control of the church and the pulpits was accomplished by the government. The king and his established state church, the Church of England, were what controlled the pastors of the churches. It was dictated to them who was to be the pastor (curate), how long his tenure would be, where it would be, what they would preach, and the overall operation of the church. For those men who refused the state control of the church, they became known as the Non-Conformists, evolving into the role that the Puritans would play in that era of time. 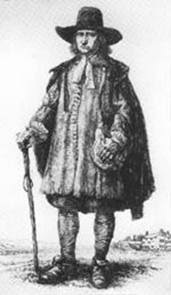 In the last blog post, I introduced you to Thomas Shepard, one of the Puritans who left England and came to the Boston area in 1635. He would settle in to pastor in a place called Newtown which would later become Cambridge, the home of Harvard University. Shepard played an important role in the beginning of the college and has been named by some as its founder. 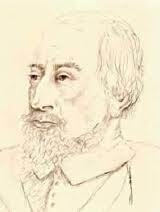 Actually it was the work of Shepard and his friend John Harvard who established the school. It was initially created to serve as a Bible college and seminary for training young ministers in the early days of the United States. In Cambridge, Shepard developed a reputation as that of being an evangelistic preacher who always worked to bring people to an understanding of God. He was a passionate and emotional preacher which was apparently common among the Puritan preachers. During that period of time, Shepard was concerned about the lagging spiritual life that prevailed throughout the region. Some of this was due to the presence of a woman preacher named Anne Hutchinson. She was an avid promoter of something called antinomianism. Basically that word means against the law. What its adherents would try to do is preach a Gospel that did not call for any elements of lifestyle change, separation from the world, and viewing God as holy. So there were rampant so-called “liberties” that people who called themselves Christians would take during these times. 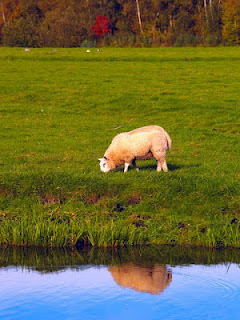 In fact so bad was it that many of the antinomians claimed salvation but in reality still lived deep in sinful practice. It was popular among the uncommitted and unconverted and they were prone to listen to preachers such as Anne Hutchinson. Last year I spent a little time introducing some of my favorite Puritans. Jeremiah Burroughs (Part 1, Part 2, & Part 3) and Thomas Watson (Part 1, Part 2, & Part 3) brought to attention some very rich devotional material. With that in mind, I thought to continue with a few more for the rest of March. For those detractors of the Puritans who say that Pentecostals ought not to be reading their works, one must consider two things in response to this argument. First, the Puritans had a huge influence on the first Great Awakening that took place in the northeast of this nation in the 1730’s to the 1770’s. The first Great Awakening had a heavy influence on the old holiness movement which birthed the Wesley’s (John and Charles), Peter Cartwright and the Cane Ridge Camp-meetings. 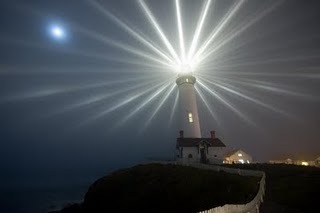 The old holiness movement is what brought the outpouring of the Spirit in the early 1900’s although I am not one of those who believe that it had disappeared and experienced a re-awakening then. I believe the Acts 2 experience has been alive throughout all of history. If you have read any Pentecostal histories at all by Cecil Robeck and Vinson Synan you will see this verification of the evidence the old holiness movement had on Spirit-filled believers.